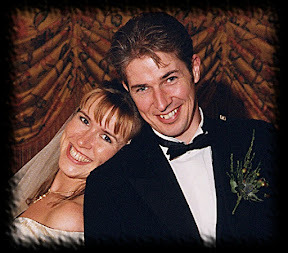 Just about this time, ten years ago today, a tall striking ex-rower with blonde hair and a beaming smile, strolled down the aisle of a candle-lit Rosslyn Chapel on the arm of a tearful father to meet her be-kilted beau at the altar. It may have been cold outside, but Sharon's smile warmed my heart and has done ever since. Happy tenth anniversary, my dear! We've packed a lot in in the last ten years, but between having four boys and building up her own Pampered Chef business, it's fair to say Sharon has been slightly the busier of the two of us. She couldn't have done it without a good man by her side though!